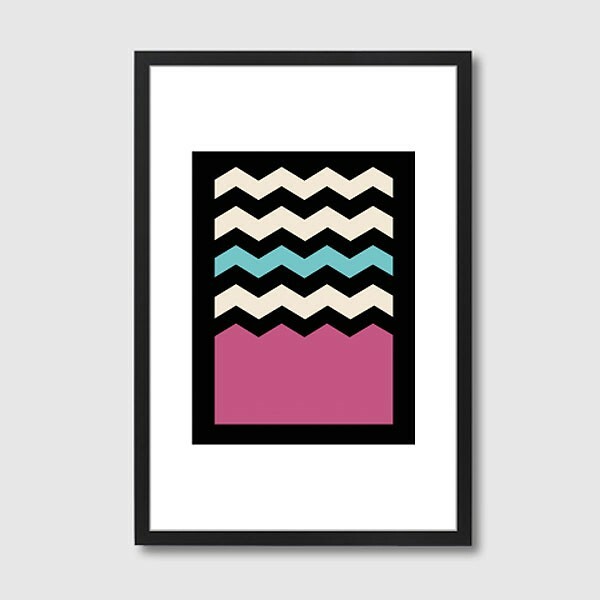 Art doesn’t always need to be designs of specific places, people or things – the Geometric Chevron Colours 2 Framed Print is a perfect example! This abstract colour art print is a wonderful way of creating an interesting focal point to any room, with its strong contrast of white and black and vivid blocks of pink and blue. This excellent high quality print comes complete in a black wooden frame with shatter-proof perspex cover and is available in two sizes, A3 and A2. This great art print by Francisco Valle works well in any hallway, bedroom or living room. See more from Francisco Valle in our ‘from same range’ section, as well as more colourful designs in out art prints category.